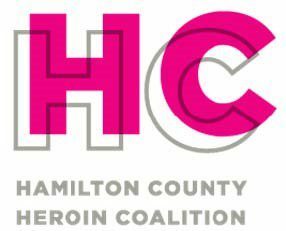 Daily Hamilton County overdose surveillance for January 22-23 has indicated a spike in activity. The daily overdose report demonstrates an increase in Hamilton County emergency departments (ED) visits due to overdose; the ED visit count surpassed statistical thresholds for expected counts when ten overdoses were observed during the period of 6 am January 23 to January 24. Corroborating this spike is the 911 dispatch count surpassing statistical thresholds for expected counts on January 22. Do not field test drugs or injection equipment. Have available and use necessary personal protective equipment (including gloves and respiratory protection); for detailed guidance see: www.cdc.gov/niosh/topics/fentanyl/risk.html. Carry extra doses of naloxone (Narcan) and administer multiple doses, if necessary. If you are a user, do not use alone. Avoid mixing drugs (including alcohol) which increases the risk of overdose. Call 911 after every overdose, even if naloxone has been used. If you are a user, do not leave the ambulance or hospital against medical advice after naloxone has been administered to reverse the overdose. The naloxone may wear off before the opioids wear off – and you could go into overdose again. For 24/7 referral to addiction treatment services, please call 513-281-7880 or visit www.findlocaltreatment.com.